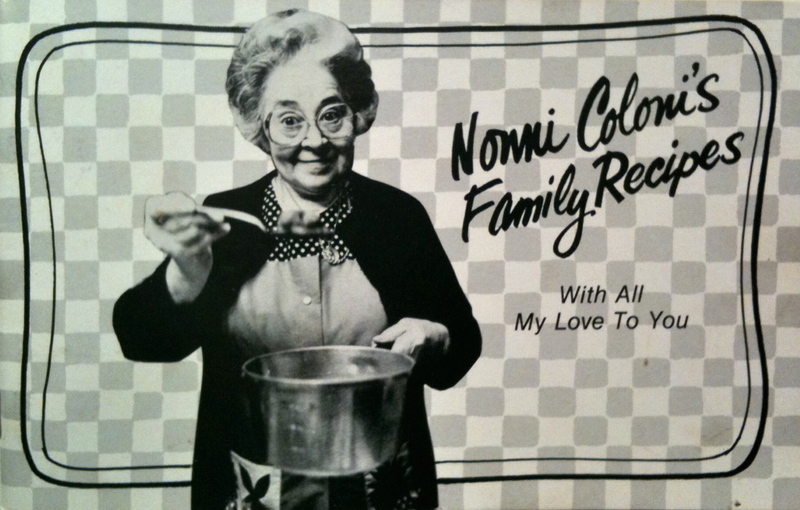 Nonni's handwritten cookbook is filled with family recipes and pictures, but no lentils. My grandmother always kicked off the new year with a huge vat of lentil soup. “It brings good luck,” she’d say. But I was out of luck because I didn’t like lentil soup, and had to make do (suffer with me a moment) with plates full of perfection in the form of her meatballs and brasciole. 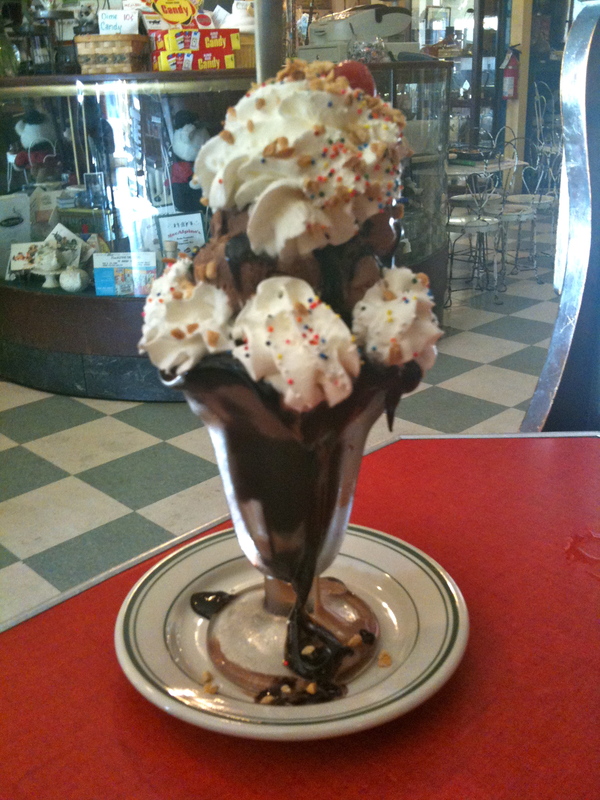 Mmm, my mouth waters thinking of them now! In the Southern U.S., it’s a tradition to eat black-eyed peas on New Year’s Day for prosperity. Nicole from Pinch My Salt, one of my favorite food blogs, shares her recipe for Smoky Spiced Black-Eyed Peas with Bacon. It’s an Asian tradition to eat long noodles, a symbol of long life on New Year’s Day. Just remember, you’re not supposed to break the noodle before eating it. From Cooking with Alison, here’s a delicious recipe for Sesame Noodle Salad. In Germany, Ireland, and parts of the U.S., folded greens symbolize money and eating cabbage is thought to bring good fortune and prosperity. At The Giant Cabbage, Cherie Stihler has collected more than 200 recipes. That’s a lot of cabbage! Greece and Turkey associate pomegranates with abundance and fertility. I associate them with delicious. 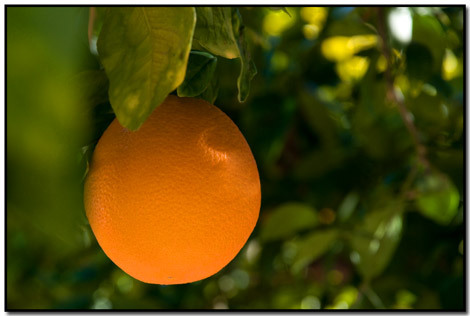 Just watching the opening photos on the California Pomegranates site made me hungry for the succulent little ruby red gems. Throughout North America, Asia, and Europe, people eat fish to celebrate the new year. Fish swim forward so they are associated with forward momentum, and since they swim in schools, they symbolize abundance and community. Slow Roasted Salmon with Cabbage, Bacon, and Dill from SeriousEats.com covers a couple of the lucky New Year’s food groups and looks gorgeous! Finally, we have the Dutch, who believe the shape of a ring symbolizes coming full circle, and so on New Year’s Day they eat donuts. What about you? 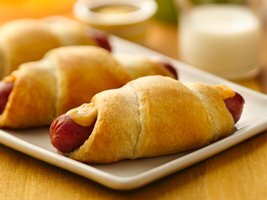 Do you have any New Year’s Day food traditions? Want to go Dutch with me today? Mmmm, donuts! Yum! A new Culver’s restaurant just opened in the neighborhood, and boy am I scared! Not because it’s bad, but because it’s gooooood. 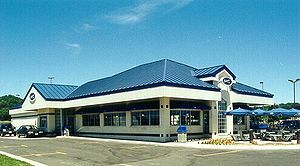 Culver’s is a mix between fast food, family restaurant, and custard stand. It looks homey from the outside, so the order counter and menu board at the front were a surprise when we walked in. There’s a lot of variety (pot roast, salads, fried chicken, sandwiches) but they’re famous for the Butter Burger, so Hon got a triple, and I got a double. Can I say it again? Yum! They were delicious little greasy patties of joy! If you’re looking for healthy, this isn’t it. They’re called Butter Burgers because the buns, not the burgers, are buttered and grilled. Sure that adds fat, but it also adds a lots of flavor. The burgers themselves are quite thin and they’re seared, giving them caramelized crispy edges. They reminded me of old-fashioned diner burgers, or more specifically, for those old enough to remember, the burgers my grandmother used to buy me at the lunch counter at Woolworth’s. And oh, yum! Mayo is a standard topping, so if you’re not a fan (I’m not), they’re happy to make it the way you like, and there are lots of topping options, like mushrooms, onions, greens, etc. Fries were good, too; not greasy and much better than the puny salt chews at most fast food joints. Culver’s fries are crinkle cut … more diner memories! Everything was cooked to order and came out fresh. The crowning touch is the custard. Yum 3. It’s rich, creamy, and loaded with flavor. Each Culver’s features a Flavor of the Day, which is posted on their website. Or, if you’re an addict, which I suspect I may be, you can get the monthly calendar emailed. This month’s choices include Caramel Chocolate Pecan, Andes Mint Avalanche, and Egg Nog Brickle. If straight custard isn’t exciting enough, you can get a Concrete Mixer, frozen custard with candy or fruit add-ins. I picked vanilla custard with Oreo. Standard combo, but the flavor was great, and even the small one (they call it short), was more than I could finish. Hon got strawberry custard with strawberries. He said it was very strawberry-ish. Go figure. He finished it in about two minutes flat, so I guess he liked it. Decor-wise, Culver’s is nothing special. It’s clean and bright, and slightly less plastic than, say McDonald’s. There are attempts to make it homey with a carpeted floor, fun food quotes on the walls, and big screen TV (making dinner conversation among family members completely unnecessary). Despite the TV, it’s not an especially noisy restaurant, which is a big plus. The staff is very friendly and accommodating. The wait staff delivers the food, but I felt bad for them as they carried full trays through the dining room in search of the right table. They looked like new kids in a school cafeteria nervously trying to find a welcoming place to sit. Those who weren’t carrying trays were checking on customers. Our server was nice enough to take our custard order so we didn’t have to stand in line again. That was good service and we really appreciated it. Overall, it was a good experience, and I’m definitely going back again. I’d like to try some other things on their menu, but those burgers might tempt me too much. Culver’s isn’t the place to go if you’re trying to be good to your heart, but it’s oh so good for the soul. The Peoria location at 8271 W. Ludlow Drive is open daily 10 am to 11 pm. (623) 242-8826. To find out the Flavor of the Day or for more info, check in at www.culvers.com or you can find them on Twitter and Facebook.